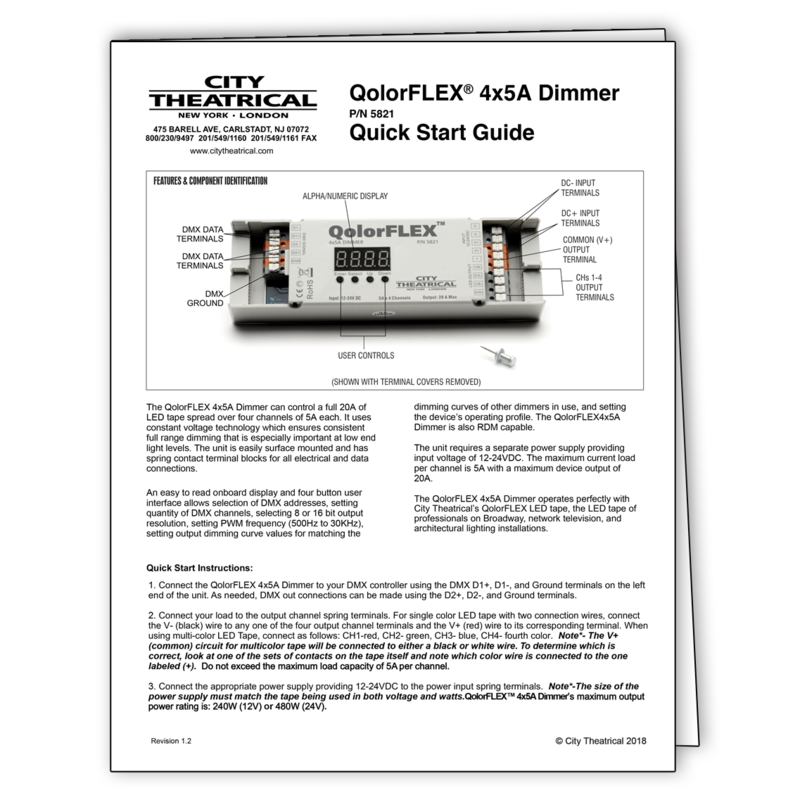 The QolorFLEX® 4x5A Dimmer can control a full 20A of LED tape spread over four channels of 5A each. It uses constant voltage technology which ensures consistent full range dimming that is especially important at low end light levels. The unit is easily surface mounted and has spring contact terminal blocks for all electrical and data connections. 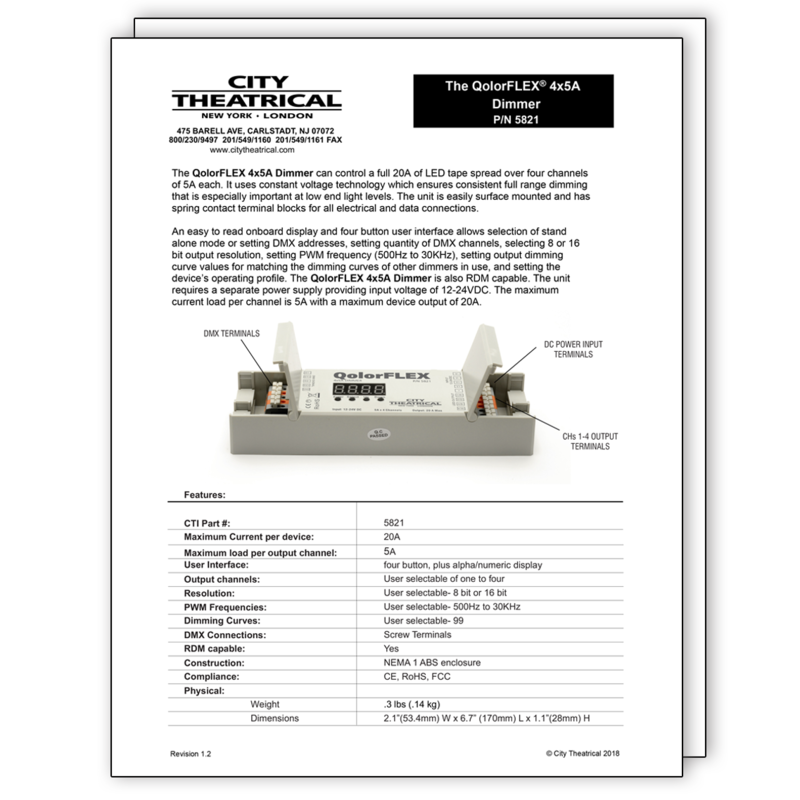 It is designed to operate perfectly with City Theatrical QolorFlex LED tape, the LED tape of professionals on Broadway, network television, and architectural lighting installations. QolorFLEX RGBWW Quad Chip LED Tape and QolorFLEX 4x5A Dimmers at the Observatorium™ on Royal Caribbean International’s Independence of the Seas® and Mariner of the Seas®. Lighting Design by David Warfel, LED Unit Installation by Chicago Scenic Studios. Photo courtesy of Royal Caribbean International. Read the full Case Study.